Finding beauty in simplicity is at the core of SARAH & SEBASTIAN's design philosophy. 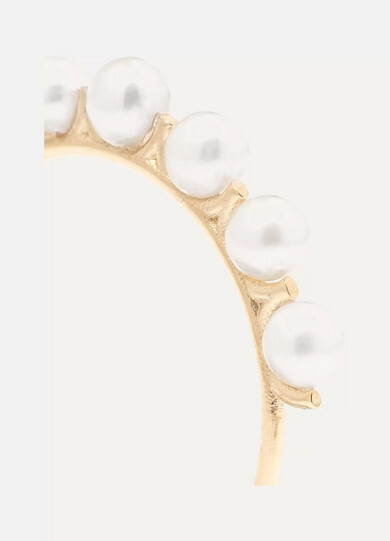 Handmade from gold, this slender 'Phoebe Perle' ring is set with five freshwater pearls. 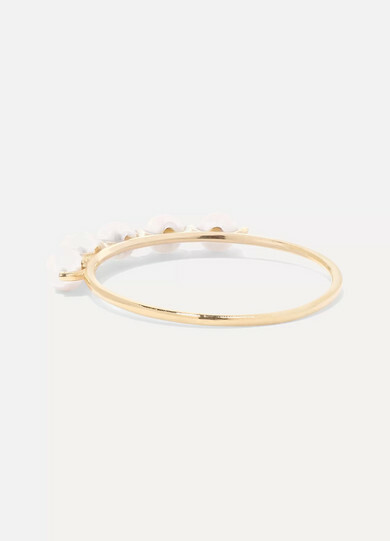 Stack yours with something similar - browse our edit for inspiration. Shown here with: Goldsign Jeans, Temperley London Sweater, 3.1 Phillip Lim Blazer, SARAH & SEBASTIAN Necklace, SARAH & SEBASTIAN Ring, SARAH & SEBASTIAN Rings, Wwake Ring, Loren Stewart Ring, Loren Stewart Necklace, Loren Stewart Earrings, Catbird Bracelet.